In my last post, we discussed WHY you need a birth team, and WHO (doulas, midwives, labor/delivery nurses, and Ob/GYNs) you might want on your team. In this post, we’re going to focus on how to decide WHERE you’ll give birth. In most areas around the country, you’ll have a choice of where you’d like to have your baby; either in a hospital, at home, or in a birth center (many of which are affiliated with a hospital). The first thing to consider when choosing where to have your baby is what’s available in your area, so do your homework! Start with a basic internet search, see what your insurance covers, and determine your budget. Also think about what’s close to home (for example, there may be a beautiful birth center 30 miles away from your house, but you’ll also need a contingency plan if you can’t make it there in time). There are a lot of elements to consider, and the best choice will vary from mother to mother depending on her circumstances, preferences, location, and resources. However, there are some basic advantages and disadvantages of each type of location which can help you make the best decision for YOU. In a hospital, the biggest advantage for many women is access to pain meds and technologically advanced medical equipment. In the event of any potentially dangerous complications, some moms feel safer and more comfortable knowing they are already in a hospital. A hospital might also be a good choice for you if you have high risk factors, or if you develop any complications during the course of your pregnancy. In addition, depending on your insurance plan, having a baby in a hospital might be the most cost effective option (this can vary A LOT depending on insurance plans and what state you live in, so ask LOTS of questions to be sure what your insurance will and won’t cover). Many hospitals also offer on-site lactation consultants, so this is another potential bonus, and most will allow you to use a midwife and have your doula present during delivery. Hospitals vary widely from location to location, so take a tour of your local hospital to see how you feel in the environment, and ask A LOT of questions. You’ll also want to talk with other parents whose babies were born in that hospital and see what their experience was like. Many hospitals across the country now are designated as Baby Friendly Hospitals. This means that the hospital has to follow the Ten Steps to Successful Breastfeeding, as outlined by the Baby Friendly Hospital Initiative. Give infants no food or drink other than breast-milk unless medically indicated. This biggest disadvantages to a hospital for many women is how strict the rules are, and how little control you have over what happens during labor. When you are admitted to the hospital, you’ll be hooked up to fetal monitoring, an IV, and a transducer (which monitors contractions). This equipment can make it difficult to move freely. You won’t be able to have anything to eat or drink except ice chips, and there are other strict protocols that you must adhere to. Despite the evidence that shows how beneficial a doula is to a mom in labor, not all hospitals allow doulas to attend a birth, and usually place a limit on the number of people who can be in the delivery room, especially in the event of a c-section. Speaking of c-sections, you’re 30% more likely to have a c-section in a hospital. If you’ve had a c-section in the past and would like to try for a natural birth the second time around, you’ll also need to check that the hospital allows VBACs (Vaginal Birth After Cesarean) because many hospitals do not. You also may have a set time limit on how long you will be allowed to labor before being induced with Pitocin, a medication with risks like overstimulation of the uterus, infection, rupture of the uterus, and drop in fetal heart rate. Some hospitals are very strict regarding birthing positions and only allow mothers to labor on their backs in a bed, in spite of evidence showing that this is one of the worst ways to labor. You won’t have much privacy, as doctors and nurses will be in and out of your room to check your status, take vitals, etc. You also may be separated from your baby while nurses bathe him, take vitals, etc. if the hospital is not baby-friendly. Again, hospitals can vary widely depending on your location. It is absolutely possible to have a natural birth in a hospital, depending on the hospital itself and the staff who are present when you go into labor. If you think you might like to give birth in a hospital, or if it’s the only choice in your area, schedule a tour so you’re familiar the facility, and have a solid and detailed birth plan done, in writing, ahead of time. Make absolutely sure you can either have your doula present, or someone in the delivery room with you that will advocate for your choices if you are not in a position to do so. Is this a Baby Friendly hospital? What support do you offer for vaginal births? Do you allow VBACs? How long after my water breaks will you wait to induce me? How many centimeters will I need to be at to be considered actively in labor? Can I eat or drink while in labor? Can I ask for intermittent monitoring if I have a low risk pregnancy? Does your hospital use telemetry? Can I choose not to have IV fluids or a saline lock? What is the largest number of centimeters I can be at and still get an epidural? Do you encourage changes in position during labor? Do you induce women automatically at a certain number of weeks in pregnancy? Do you routinely give Pitocin after the baby is born? How do you decide if I need a c-section? How long can I delay cord clamping? Can I delay weighing and measuring of the baby, and hold my baby immediately after birth? A natural home birth can be a beautiful, spiritual experience, and many women feel that a home birth is the ideal way to have a baby. Birth, after all, is natural—moms have given birth to babies in all kinds of places: in the backseats of cars, in elevators, and in plenty of other inconvenient spots. In a low-risk birth without complications, you don’t need anyone to deliver your baby—it happens whether you’re ready or not! At home, you’ll have the advantage of being in the comfort of your bed, with no tubes or wires attached to you or your belly. You’ll need a midwife who is certified for home births present, but beyond that, you can have as many or as few people there as you want. You can labor however you’re most comfortable, in whatever position works, for as long as you need to, and you’ll also be able to eat and drink when you like. You won’t have to worry about unnecessary medical interventions, and are guaranteed to have a natural birth if there are no complications. You won’t be exposed to the viruses or bacteria you might encounter in a hospital, and once your baby is born, you can relax in your own bed with your baby by your side, and not have to worry about constant interruptions from nurses or doctors. A perfect home birth where nothing goes wrong sounds pretty idyllic, and many moms can and do experience just that! However, there are some downsides to giving birth at home that you’ll need to take into consideration before making a decision. Most insurance policies will not cover a home birth, so you’ll need to weigh the cost of paying the providers who attend your birth and factor that into your budget. Birth is pretty messy—you and/or your spouse and providers will be responsible for making sure everything is sanitary, and for cleaning up afterward. There are potential risks if complications occur, and you may need to be transported to the hospital, which will cause a delay in you and your baby receiving emergency care. You’ll need to take your home’s proximity to a hospital into consideration, and make sure your midwife has a plan for an emergency hospital birth. You’ll also need to prepare yourself emotionally for the possibility of a hospital birth, or even a c-section. Even if you do everything “right” during your pregnancy, you may still have complications and not end up with the home birth you envisioned. The more you are prepared for all the possible outcomes, the less likely you are to be traumatized if you don’t end up with the perfect home birth story. Before deciding on a home birth, make sure you go over all the possibilities with your midwife and doula, and make sure every choice is one that makes you feel the most safe and comfortable! For many women, a birth center is the happy medium between a hospital and a home birth. Birth centers try to offer all the comfort of home, enabling you to have a natural birth in a relaxing environment, but are also affiliated with (or in some cases, inside of or next to) a hospital, which makes transport in the event of an emergency much less worrisome. Your labor will be attended by certified midwives and licensed nurses, with easy access to a doctor on-call if needed. You won’t automatically be hooked up to an IV or fetal monitoring, you’ll be encouraged to labor without pain medication, and you won’t have any unnecessary medical interventions. You can labor for as long as you like in any position that works, and you won’t have a c-section unless it’s absolutely medically necessary (c-sections are not done at birth centers). The rules regarding who can be in the delivery room are much more relaxed, and birth centers also usually offer perks like pools for water births, and extra space for family and friends. The biggest disadvantage to birth centers is that they also vary widely depending on the location. There may not even be a birth center in your area, or the birth centers available to you may be too closely affiliated with a hospital and might not allow you to choose your own midwife or OB/GYN. They may not be covered by your insurance. If you are interested in having your baby in a birth center, treat it like a hospital: take a tour, ask around to see what others have experienced there, and ask the same questions you’d ask of a hospital to make sure you can make choices that are right for you. It’s also just as important to have a solid birth plan and a doula if you have your baby in a birth center—you’ll still need to make sure there is someone there with you to advocate for your birth plan. If you’re still working on conceiving and/or are early in your pregnancy, realize that as your pregnancy progresses, you may change your mind about where you want to give birth. Some moms may decide early on that they want a natural home birth, but find that complications arise in their pregnancy that makes a birth center or hospital feel like a safer choice. A mom who’s had a c-section may be nervous about a VBAC and want a hospital birth at first, but may talk to other moms and decide she wants to try to have a VBAC at a birth center or at home after all. This is ALL ok! Recognize that EVERY birth is a miracle no matter where it takes place, and no matter how things go, there will be SOMETHING you wish you had done differently. One thing to get used to when having a child is unpredictability, and you’ll need to find ways to be flexible. Just make sure that when you choose your birth team, you find providers that can be flexible with you (more on that in my next post). Also, and this is important, even if your pregnancy is straightforward and complication-free, ALWAYS have a hospital contingency plan in place. Things can change at the last minute—babies can flip or show signs of distress, and after baby is born, there are other possible risks to your health, like postpartum preeclampsia or dangerous infections. I want you to have the piece of mind that if something unexpected happens and you or your baby need technology that’s only available in a hospital, you have a safe, solid plan to get where you need to be. Make absolutely sure your birth team knows how to get you emergency medical treatment in a hurry if needed. If you have a contingency plan in place, an unexpected hospital trip will be a lot less traumatic. Deciding where to give birth is a personal decision, and will also be affected by the options available where you live, your insurance, and your finances. The are positives and negatives to having a baby in a hospital, at home, or in a birthing center that you’ll need to take into consideration. No matter what, choose the option that makes you feel the safest, and have an emergency plan in place if you decide on a home birth. Have you decided where you want to have your baby? 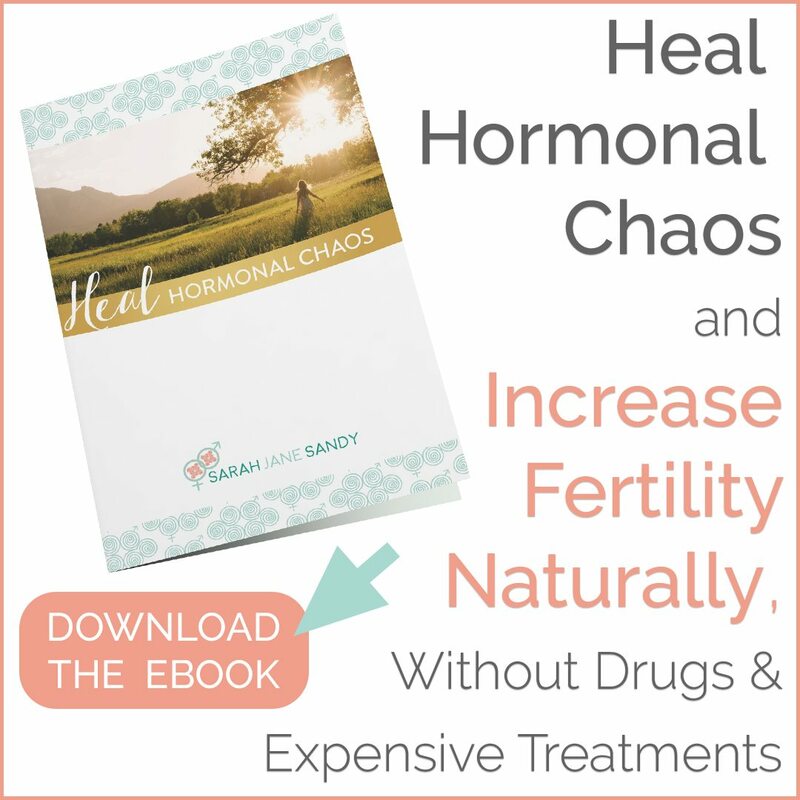 Don’t forget to check out my brand new video series about how to Heal Hormonal Chaos and Increase Fertility Naturally, Without Drugs & Expensive Treatments! 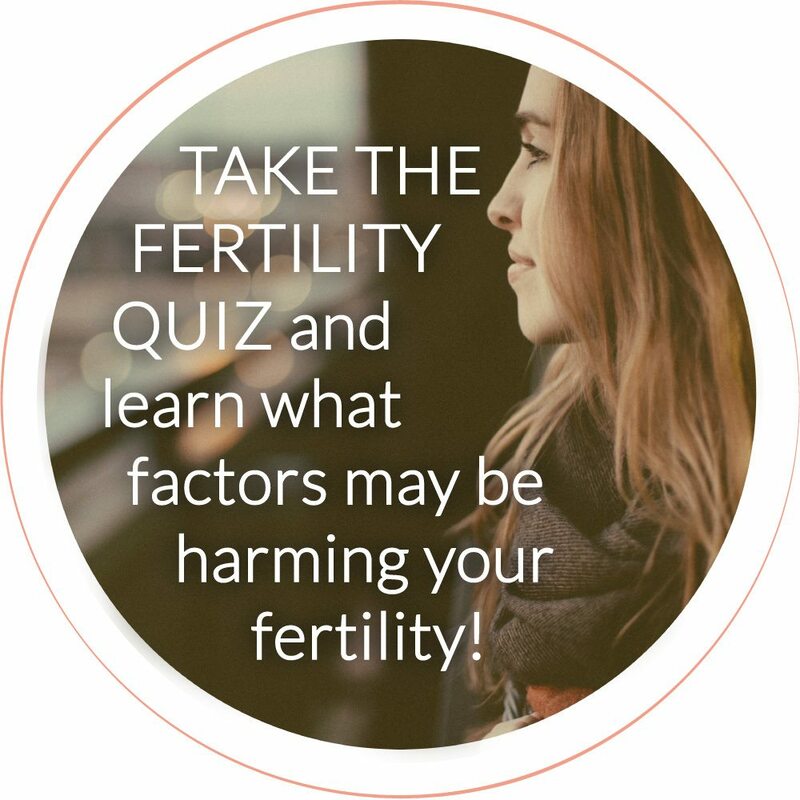 In this eye opening 4-part video series, you will discover my top natural remedies to heal the six most common hormone conditions that affect your fertility. Looking to have a more in-depth conversation about creating your birth team and deciding where you’d like to give birth? Schedule a consultation with me!